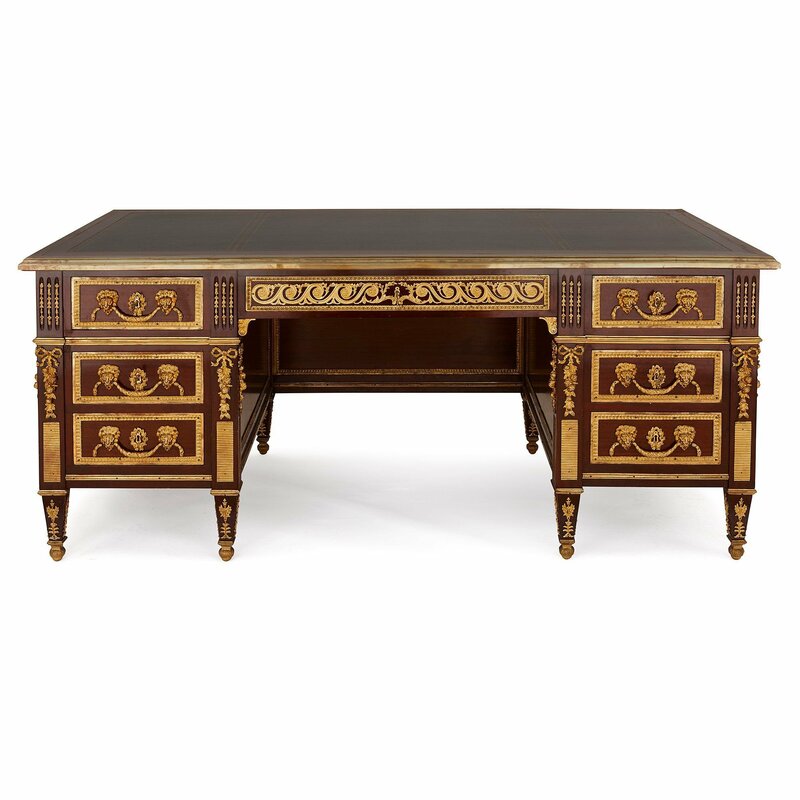 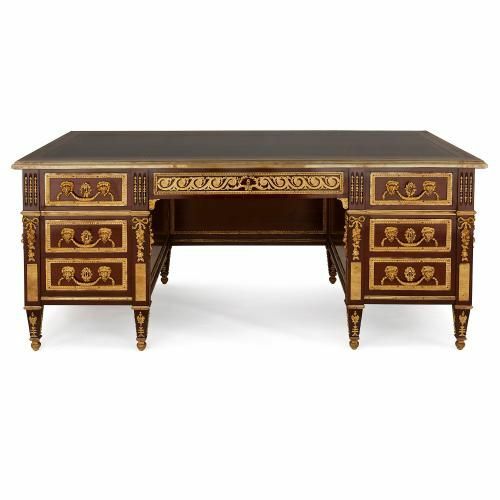 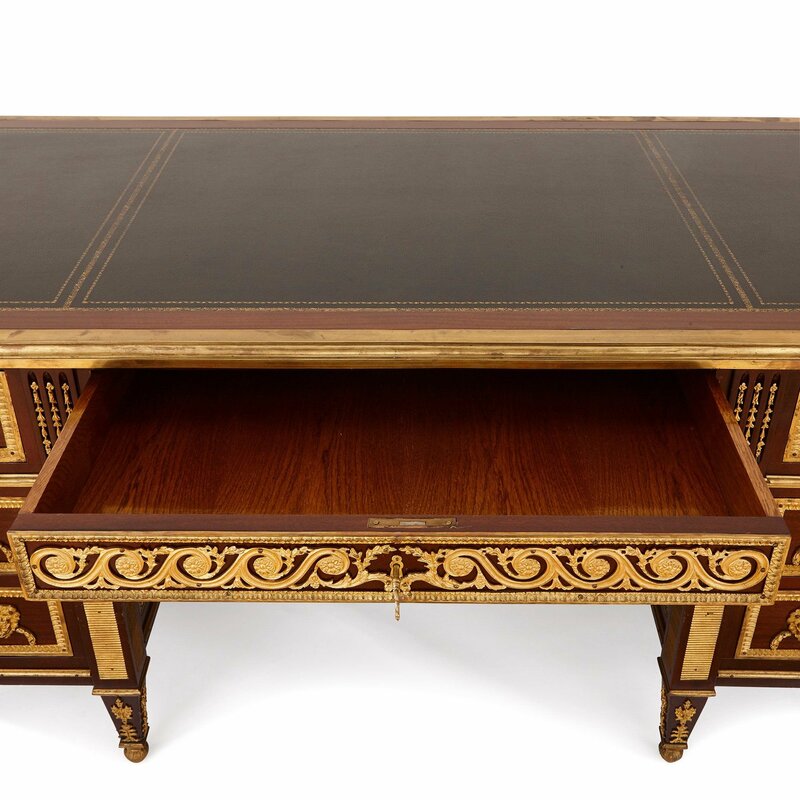 This fine and large desk features intricate Neoclassical style ormolu mounts, and is testament to the tradition of fine furniture craftsmanship in France. 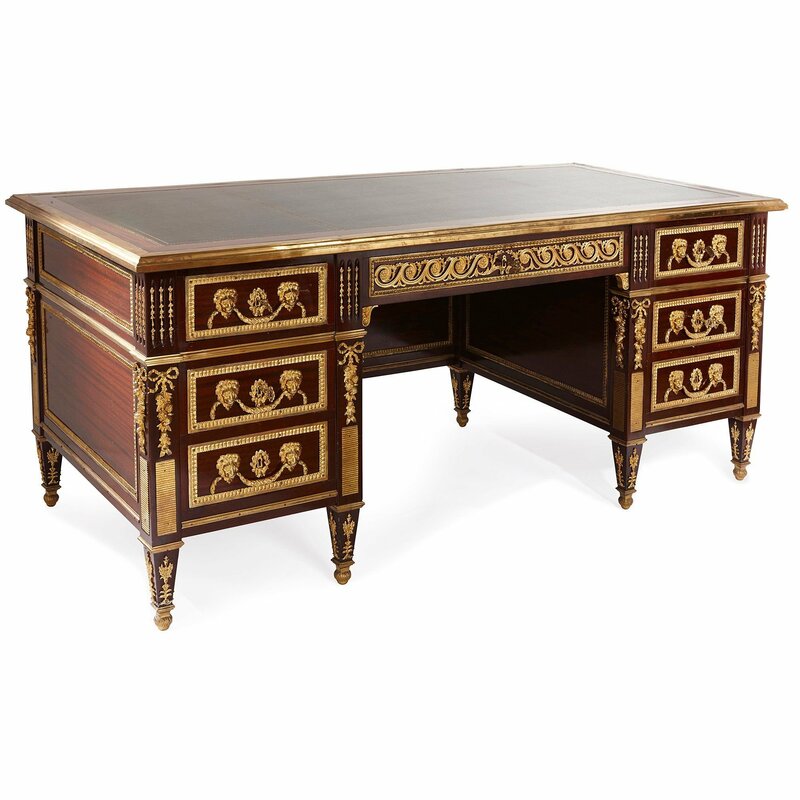 The desk is built from mahogany and topped with a black leather writing surface. 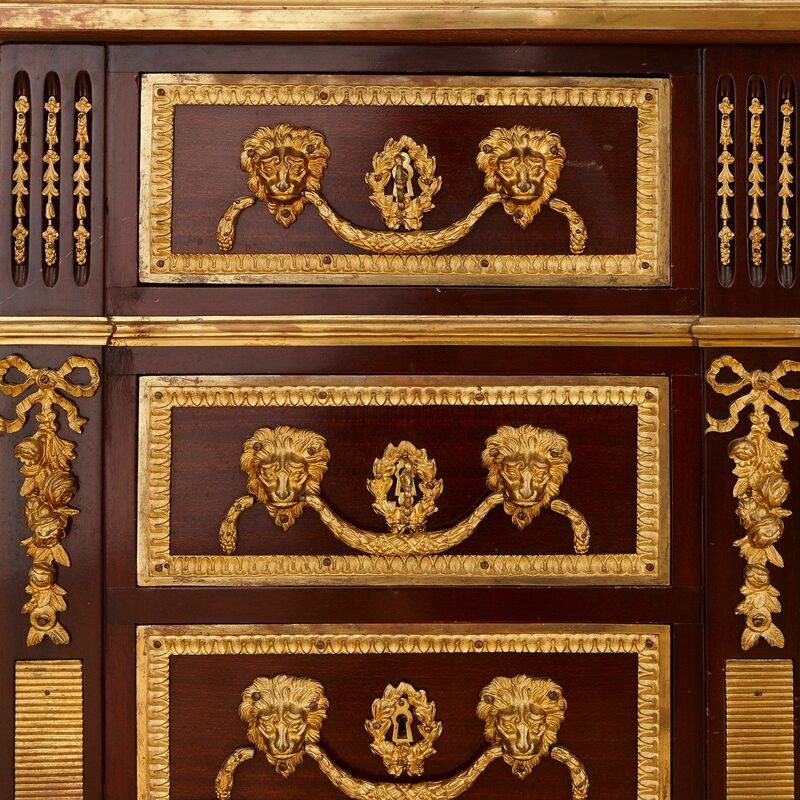 Below the top there is a central frieze drawer mounted with ormolu scrolls, and at either side there are columns, each containing three smaller drawers. 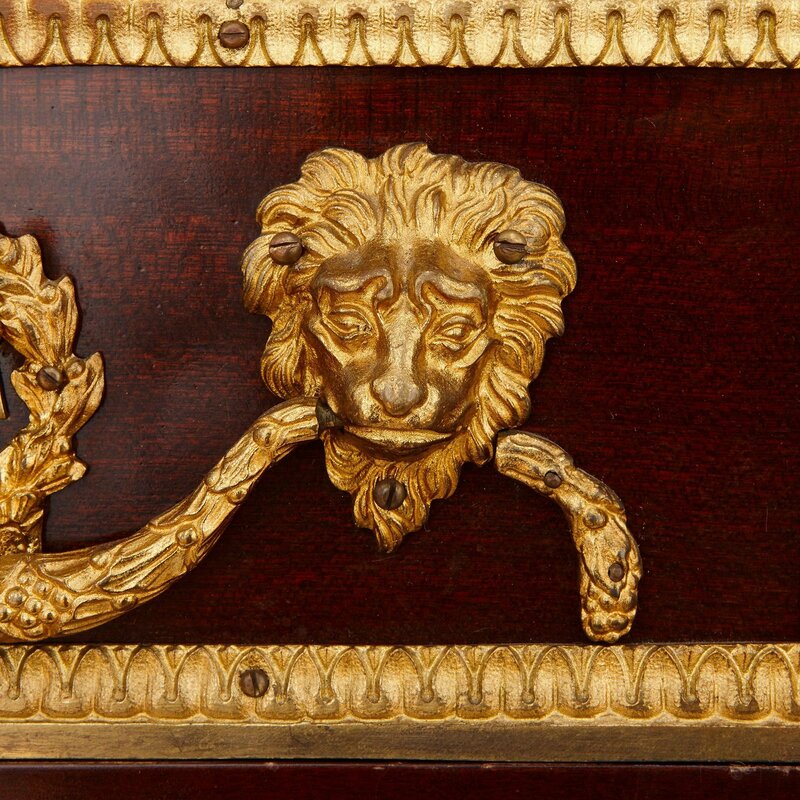 Each of the flanking drawers is mounted to the front with handles in the form of laurel garlands, held in place by lions' heads, either side of a central keyhole. 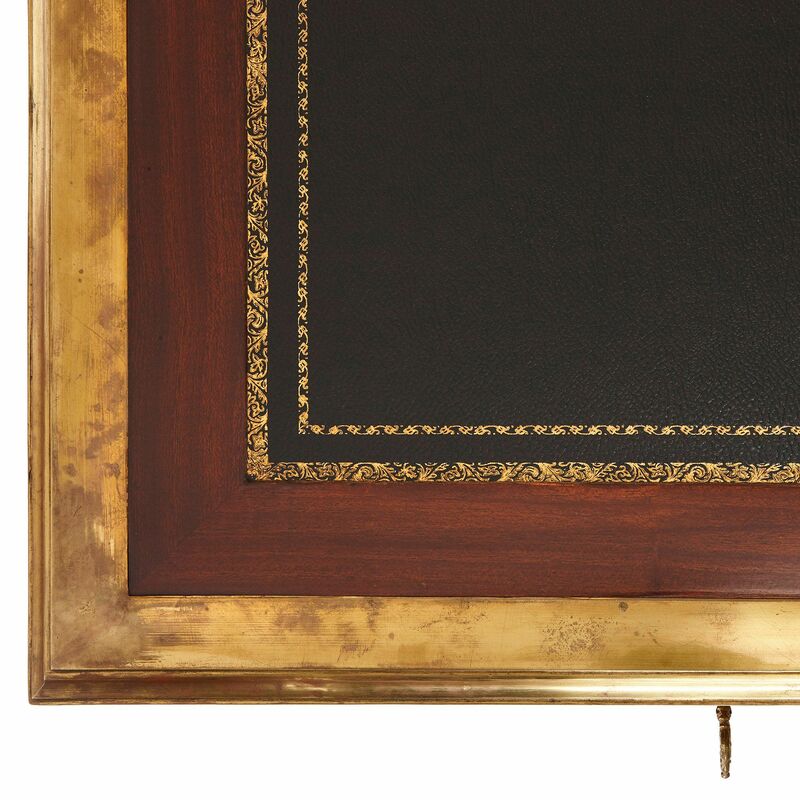 At each side of the flanking drawers, and in the same position on the reverse side of the desk, there are pilasters mounted with floral garlands and ribbons, leading to ormolu mounted arrow legs on ormolu feet.